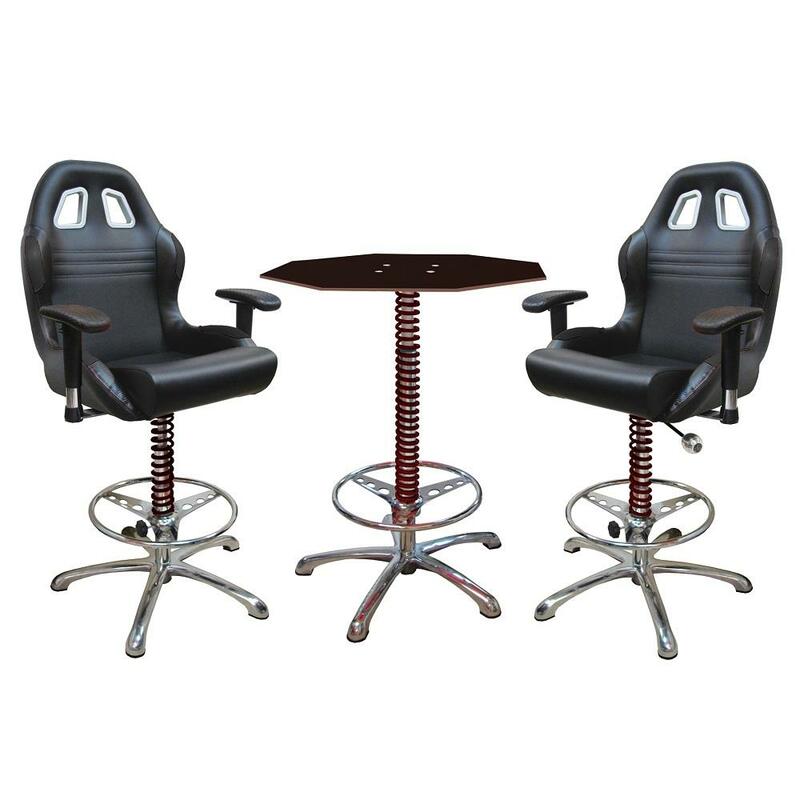 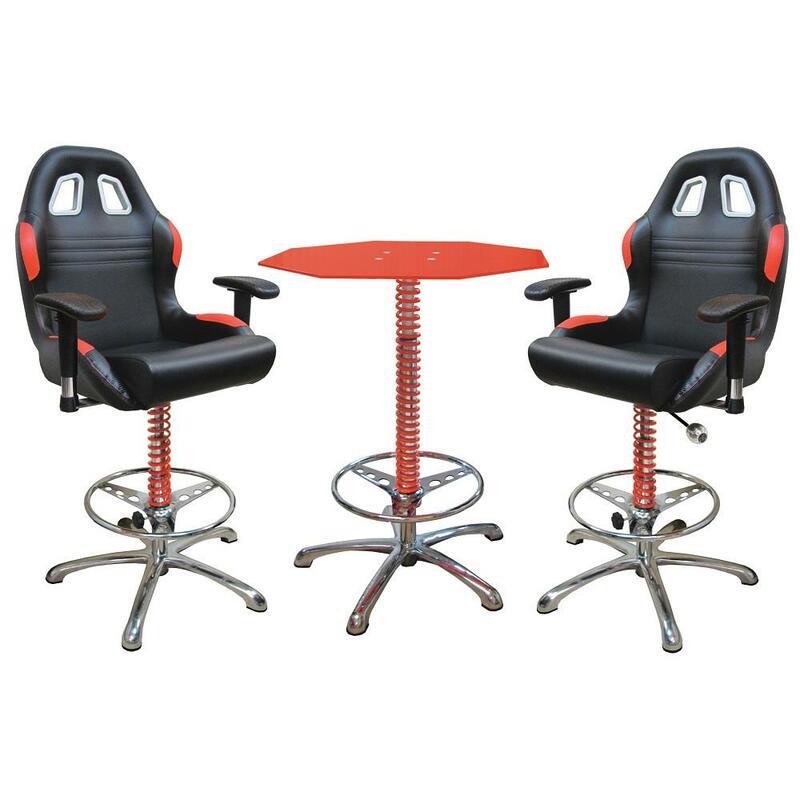 PitStop Furniture BT7000 Crew Chief Racing Bar Table, Black or Red - Free Shipping @ California Car Cover Co.
An ideal companion to the PitStop Crew Chief Bar Chairs, the PitStop Crew Chief Bar Table includes a racing suspension spring wound around the center and a decorative billet aluminum shift knob. 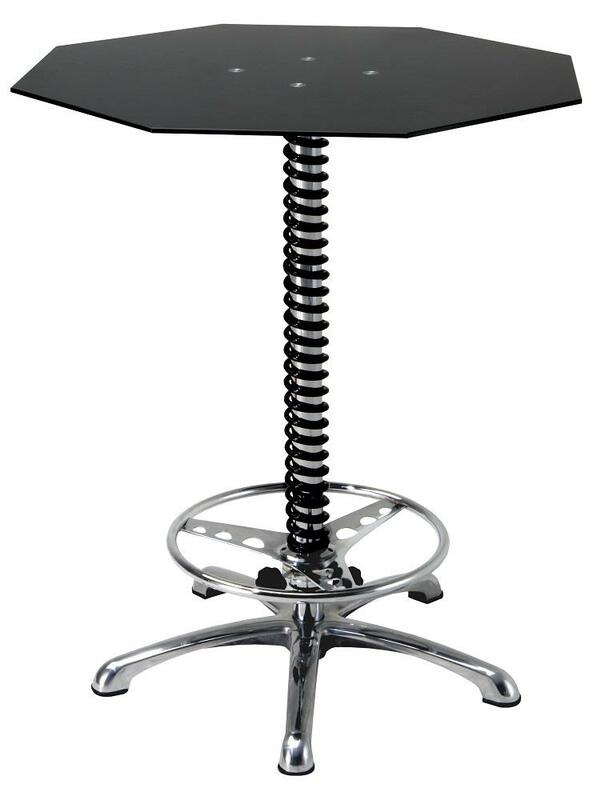 A shiny steering wheel just above the 26" wide track aluminum bar table base provides ample area to put your feet up and really take a load off during a pause in the action. 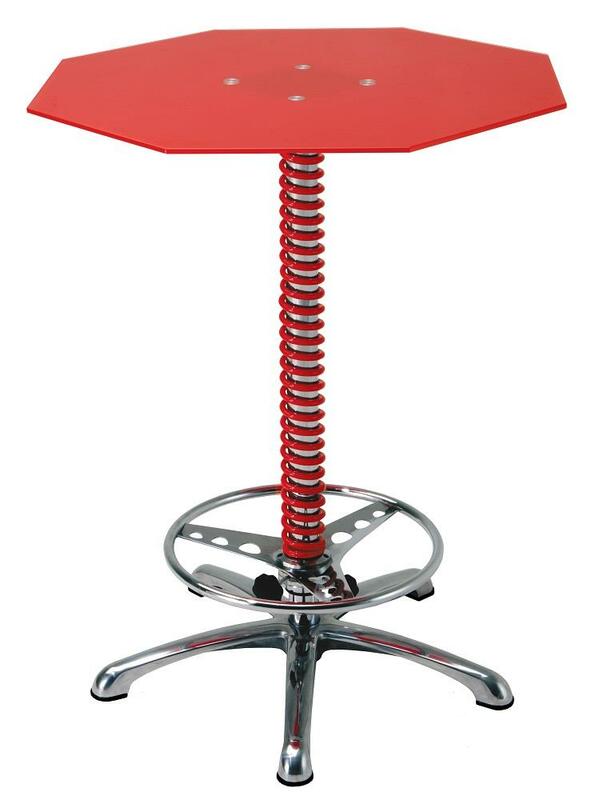 Featured in red or black, the PitStop Bar Table is 36" x 36" x 7". 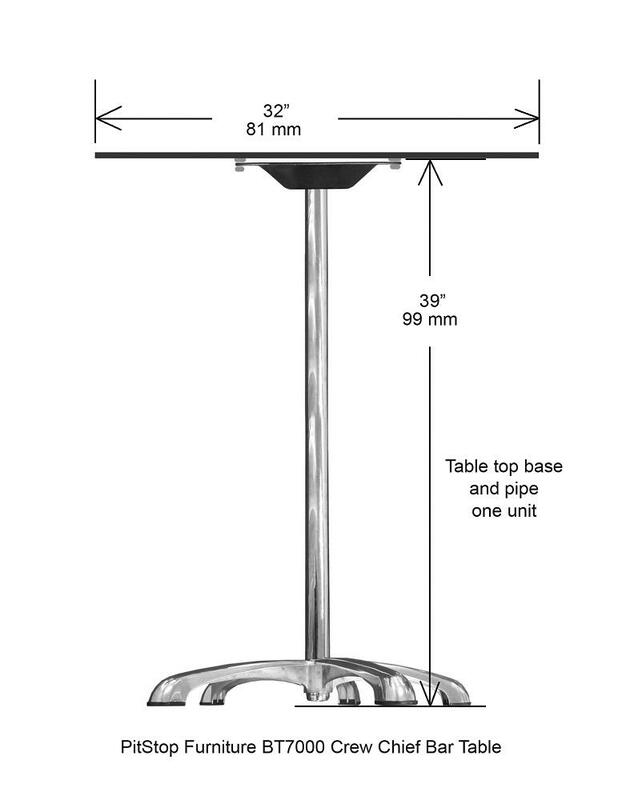 Patented worldwide and includes a lifetime warranty.